GeekVape Aegis Kit features waterproof, shockproof and dust-proof design and 0.015s instantaneous firing. GeekVape Aegis Kit consists of a popular Aegis MOD and new Shield Tank. Aegis features a waterproof, shockproof and dust-proof design by adopting advanced LSR Injection Moulding technology. Aegis supports a maximum 100W output power with a single 26650 battery cell or 18650 cell. 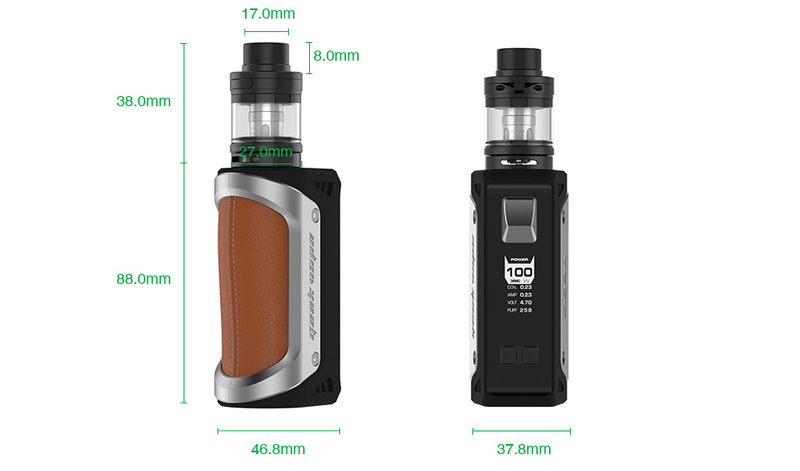 Shield Tank adopts easy top-filling design with 4.5ml e-juice capacity. The adjustable bottom airflow system offers smooth flavor to it.